It was freshman year, and time for our Thursday night Real Life meeting for Campus Crusade for Christ. The guys across the hall from my dorm room started gathering up people to head over in a big herd (when you’re a freshman in college and away from home for the first time it’s comforting to do things in herds). “Is K coming?” said one of my fellow Crusaders. I trotted off down the hall and knocked on K’s door, bible in hand and sure she was just running late. She’d come with us for the first few weeks of the year, after all. Her face flashed with anger. “NO!” She said quite firmly and shut the door hard in my face. I was sitting at the Oxley cafe a couple of days later for a sandwich when K came and sat down next to me. “It’s just…the church is made up of people, and it’s not supposed to be perfect and cookie cutter and…” She explained herself for a while, and eventually realized I was completely lost. It took 14 years, but I think I am finally beginning to unpack what she meant. At the time, it wasn’t true in the least. 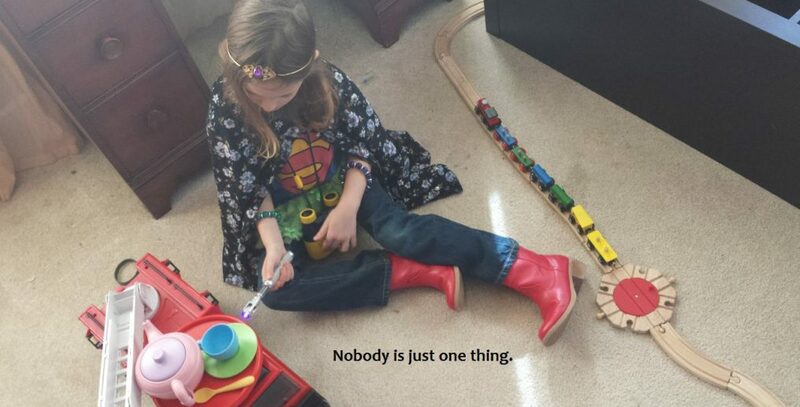 I had no idea how to make people like me. I didn’t feel like other people’s approval had anything at all to do with me. The thing is, K’s correct. At this point, I can often figure out what people want me to do. And that is often useful to keep in mind. The problem that knowledge presents then is what to do about it. It goes a little like this: if someone is going to be offended by my choice to abstain from a particular food I can eat it, not eat it, or leave. If I choose not to eat it, I can explain why, or leave it alone and let them assume whatever they like about me (if they care to). If I explain why they can believe the best about me or not. People may like me or dislike me a little more in a given moment based on what I say. I didn’t used to know that but now I can even see it happening sometimes. My words have an effect. It’s exhausting. What am I supposed to do with all this information? At first glance, it would seem that kindness and tenacity are at odds with one another. It doesn’t immediately read as “sympathetic or helpful” to tell someone that they’re wrong about something, that you’re hurt by their actions, or that what they’re doing is harmful to themselves or others. I get that. Does that mean we should never do those things? I think not. I think it means we may do well to expand our definition of kindness. A small definition of kindness (which I’ll refer to from here on out as being nice) is the wide road to people pleasing and denying others feedback which can help them meaningfully learn about themselves and the world. Can it really be kindness to stand by and let someone we care for harm himself or others when we might be able to help him not to do it? The more I think about it, the more being nice begins to look less like actual kindness. Someone I trust recently told me that kindness is not something to strive for because kindness is about people pleasing rather than doing what is best for myself or others. I disagree. I think kindness goes far deeper than being nice and that those two things do not always or even usually look the same. Kindness holds on tenaciously when niceness would let go. Kindness pushes through awkwardness, offense, and hurt. Sometimes, kindness draws boundaries or even steps away for a time when niceness would stay put just to keep the peace for the moment. Niceness may hide the truth to make people happy; kindness looks for the most gentle way to say what is true and necessary. Being nice instead of kind is like trying to sing a harmony part without any melody to go with it. It might be ok sometimes, but mostly it’s not enough and it will definitely never be a whole song. 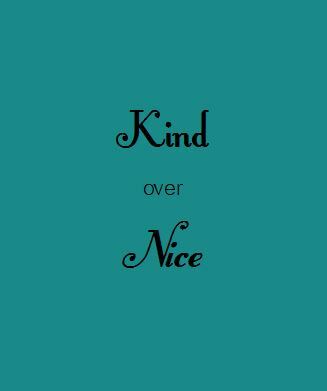 To put a Sondheim quote on it, “Nice is different than good.” Or, to apply it here, nice is different than kind. K was right. I’m smart. But figuring out how to be nice to everyone all the time is not a good use of my intelligence. What am I supposed to do with all this information? Sometimes the answer, thank God, is nothing. I can figure out how to get more people to like me by being less of who I am. The question is, do I want to? The answer, I am relieved to find, is no.